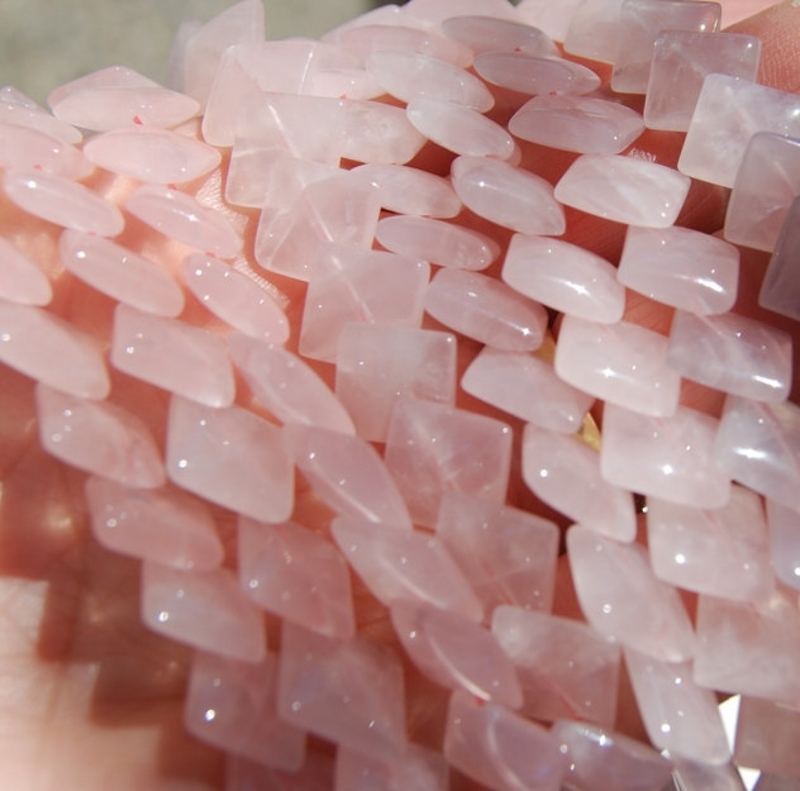 Pink is the color of love and rose quartz is certainly a stone that represents it! 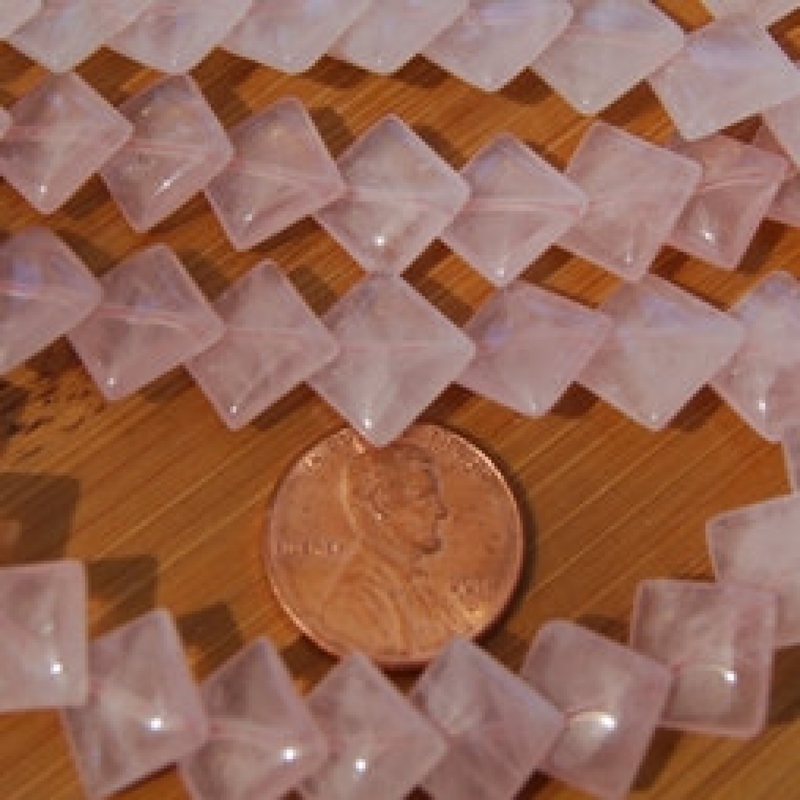 These unusual diagonally drilled puff squares are 9mm beads that are a lovely natural translucent pink. You will receive 15 beads, unstrung, randomly chosen from those shown, approximately 8 inches. 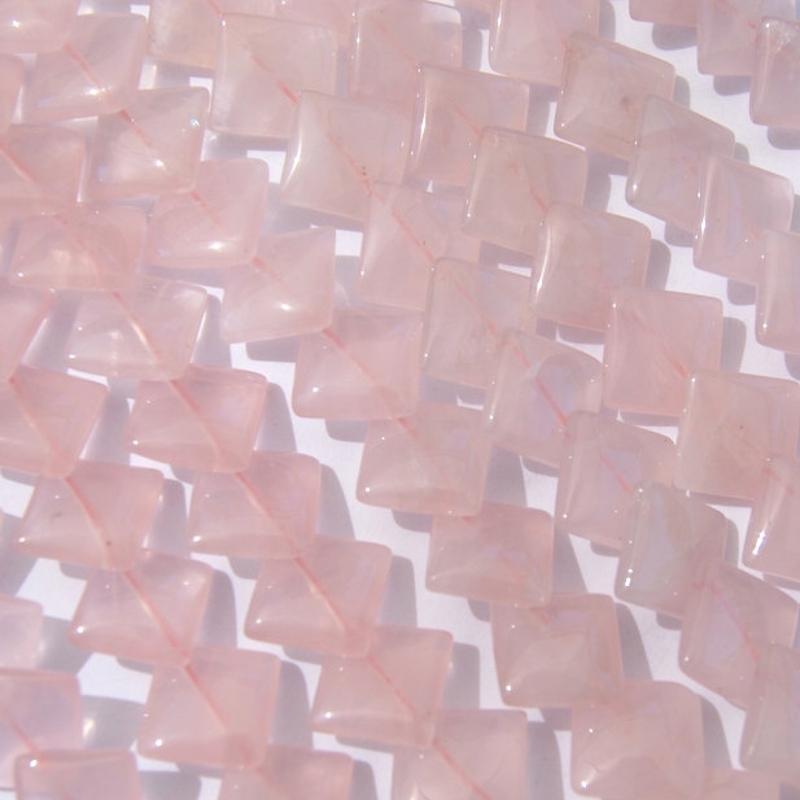 Please allow for the variations that occur in natural stones; that is part of nature's charm. Computer screens vary in the way they display color.